This week brought news that we are in a recession. The first quarter results saw the economy shrink by 2,6%, and when the second quarter showed a shrinking of 0,7%, it was official. That’s not a very good look, and now investors are worried that Moody’s may downgrade South Africa’s credit rating again. The rand has taken a battering off the back of all this, so let’s start with two currency comparisons, correct as of 9:24AM. South Africans are generally pretty good at brushing off bad news (because we have become somewhat immune to it), but there will be real-life ramifications to the plunging rand. This week, government has intervened to cushion the blow of higher fuel prices. Petrol prices were supposed to go up 25c a litre on Wednesday, but only rose by 4.9c/l, as government subsidised the rest. This is expected to be a once-off, and as it stands, according to government calculations, petrol prices will be hiked by at least R1.15 a litre – and diesel by a massive R1.40 – in the first week of October. Another R1,15 a litre, on top of the hikes we have already endured this year, is bloody ridiculous. Time to start looking at alternatives? South Africa’s maize and wheat prices are linked to the global dollar prices. Already, in the past 48 hours, maize and wheat prices have shot up by R60 a tonne, while soybeans are now R100 a tonne more expensive. According to Luan van der Walt, an economist at Grain SA, it usually takes about three months for these higher prices to feed through to food producers and consumers. The prices of electronic equipment are among the most affected by a weaker rand, says Johann Els, head of economic research at Old Mutual. But it could be that prices won’t be hiked by the same margin as the rand slump. 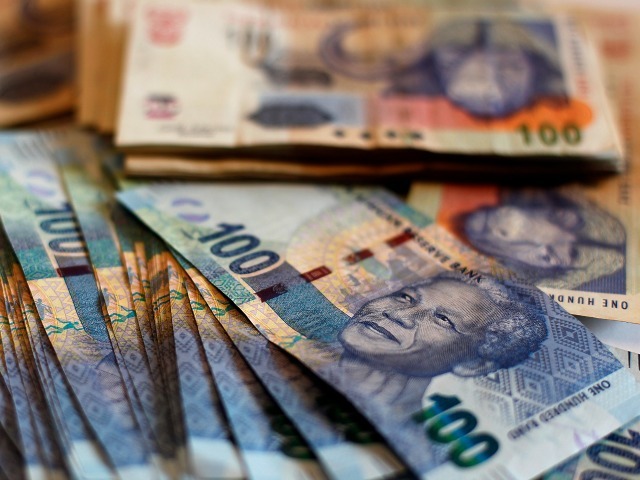 It is likely that retailers may not have yet passed on the full saving of the stronger rand earlier this year, he told Business Insider SA earlier. Still, expect a little bump. While there is little sign of consumer prices heating up because of stronger demand, the bank has been clear that it is looking ahead to the impact a weak rand could have on inflation. “It is never easy to hike rates when the economy is in recession – but there is a precedent,” [Arthur Kamp, economist at Sanlam] adds. In the 1990s, the Reserve Bank increased rates during the Asian crisis, when the local economy was in the doldrums. He expects that the bank will probably not increase rates this month, but wait to see if the current rand weakness persists. If it does, an interest rate hike looks likely in November. All of a sudden, the recession hits home. Let’s not be too doomy and gloomy, though – it’s almost the weekend, and that means we can drown our sorrows. The content of this article will be lost on most of out countryman.